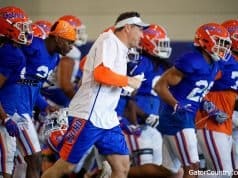 Florida Gators head coach Jim McElwain is trying to regain the Gators brand in the state of Florida and that all starts by locking down the top players in the state in recruiting. McElwain and his staff have done a good job with that in 2016. 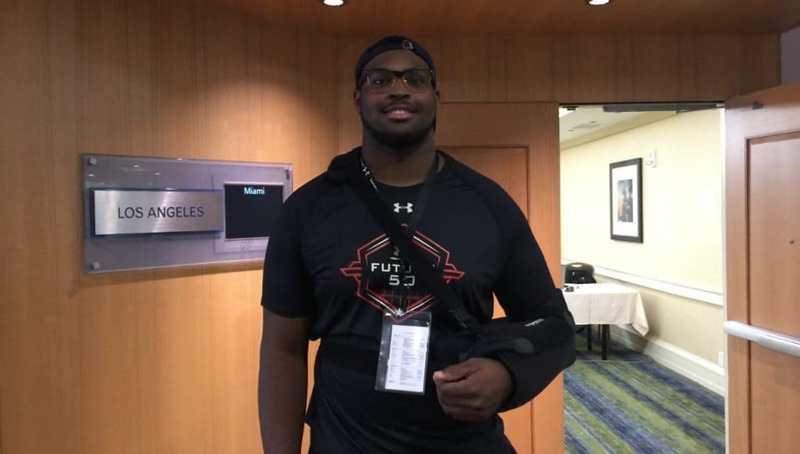 In the 2017 recruiting cycle they’re trying to flip Auburn Tigers offensive line commit Calvin Ashley (6-8, 311, Orlando, FL. Dr. Phillips), who is honored to be one of the best in the country. 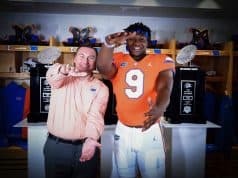 The Gators have hosted Ashley several times since McElwain took over and the lineman likes the Florida coaching staff. Offensive line coach Mike Summers has kept the same message with Ashley since day one in that the Gators need linemen bad and that’s something the Auburn commit is looking hard at. Another thing that has Ashley’s attention is the fact that McElwain is a legend at Dr. Phillips high school because of his recruiting success there in the past. The Gators, however, aren’t the only team recruiting Ashley to flip, as Florida’s instate rival is also in the mix. 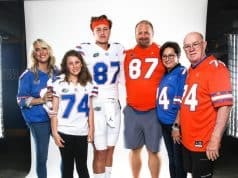 The Gators might not flip Ashley but it wont be for a lack of trying, as the Florida has three coaches including area recruiting Geoff Collins working on Ashley. Ashley knows he can play anywhere in the country, but he believes the Gators system will allow him to grow as a player. When the tackle visits Florida he wants to focus on building a relationship with Mike Summers. This spring Ashley expects to visit three schools including two out of state schools that are after him. INSIDERS TAKE: Florida is definitely in the mix for Ashley and McElwain’s connection to Dr. Phillips helps that out a ton because he has had success there in the past when he was at Alabama. Ashley is a big time talent that the Florida Gators need to land. They should have already been all in on him. The coaching change is probably why they weren’t. From what I hear this kid is great. I haven’t seen him play in person yet, only highlights, but I’ve heard he’s big,strong,quick, and really good. I hope the Gators end up getting him. This kid is the most important target for the gators in the 2017 class. They need a LT to block for Jake Allen their most important commit.